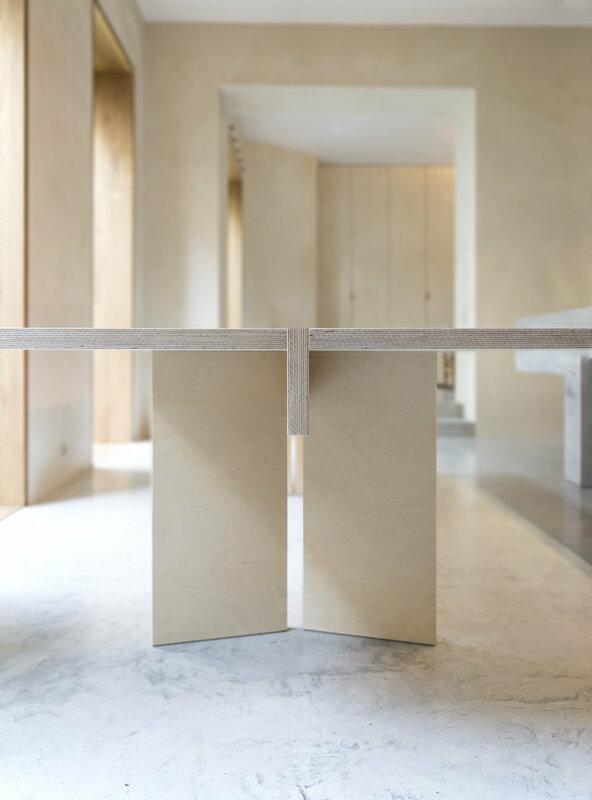 The Mammut table is inspired by classical Japanese furniture. Simplicity and stability is easily readable through the design. 310 cm x 93cm, UV laquered plywood.